If you’ve just started a small business or are looking to expand yours, one of the first things you’re probably thinking about is this — how do I get a business phone number? When it comes to standing out from the crowd, having a personalized business phone number can make all the difference. There are so many options out there when it comes to business phone services that it can be overwhelming to get started. Let’s break down how to get a business phone number in 3 simple steps. Business Phone Lines: How Many Do I Need? How Much is A Business Phone Line? Step 1: What Type Of Business Phone Number Do You Want? The first step to getting a VoIP number is understanding the number of options available to you. Many providers, including Nextiva, offer you the choice between local, toll-free or vanity numbers. With so many options, it can be hard to make the best choice for you. Before you get started, think about what you want your phone number to convey. Are you a mom and pop shop that likes to get friendly with the locals? Then you might want to stick with a local number. Have multiple locations and quite a few employees? Maybe a toll-free number is your best choice. To help you with your choice, let’s take a look at what each business phone number has to offer and how it can help your business succeed. There are four different business phone numbers you can choose from. Below we break it down by type and give you insight into what each one might end up costing you. Pretty much anyone can secure a local phone number whether or not it’s for a business. You can get your number from a local phone company, or via Google Voice. The set-up is fast, tied to location via area code of your choice, and you can be up and running the very same day. A toll-free number is an 800 number that is location-agnostic. The benefit of a toll-free number is that it can appear more professional to your consumer. You sign up via your phone provider, setup is fast, and you can even have it forwarded to an existing line. A vanity number takes a toll-free experience one step further by providing a memorable string of words or numbers. They can be a bit more challenging to set up, as you have to determine whether the vanity option you want is available via your provider. Most phone service providers can help you find one. Cost varies depending on your provider. The last option available is a virtual number. These are not tied to a hard phone line and can be set up quickly on your (via Google Voice) or through a phone provider. This is great for entrepreneurs or small businesses that need their phone number to follow them wherever they go. They are cost-effective, easy to set up, and great for a business run by one person. Your first decision will be what type of phone number you want. From there, you can move on to Step #2. It’s time to choose your phone number! Most providers will give you the option to select your area code or set up a vanity number. Nextiva provides business phone numbers in every state in the U.S. If you’re sticking with one location, or need to have the appearance of several, we offer nationwide availability. Ready to get started? Start by speaking to your provider and find out what area codes and numbers are available and go from there. After this, you’re ready to activate your business VoIP phone system and get started. Now that your phone number is set up you can begin adding extensions. Extensions work well for a small business like a salon, where you might want to give your customers the option to reach the hair stylist of their choice to schedule an appointment. Many providers can easily assign these extensions and can even make it possible for the extension to forward to a personal number. Some people use extensions to have a better understanding of who their customers are trying to reach. 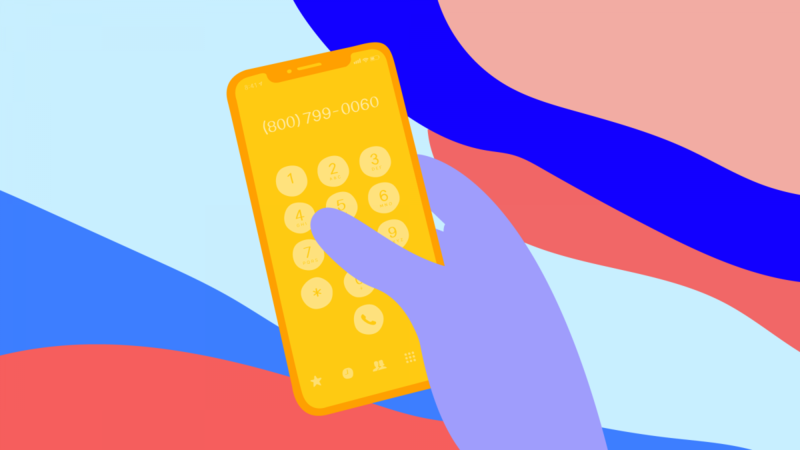 Both phone numbers might go to the same place, but the receiver will be able to tell if the caller came through the “sales” line or the “scheduling” line. It can give customers the appearance that your company is much bigger than it might be. Once you’ve set up your phone number, and have your extensions in place, you’re ready to get started. You can begin receiving your calls ASAP. But first, let’s discuss the features you might want to add to your new phone number to make it work for you. The best part of a business phone service is the features that come along with it. Nextiva’s VoIP for small business, for instance, provides a host of unified communication solutions that can help any business reach their goals. Create your personalized greeting or ask Nextiva to set you up with a pre-recorded message. Not in the shop? No problem. Nextiva’s Call Forwarding makes it possible for you to receive your calls from your beach vacation or the comfort of your home. This is an excellent feature for owners that might be in and out throughout the day and still need to catch those important calls. Let your customers choose who they want to speak to with the Auto Attendant feature. They press a button and are forwarded to the right contact. With voicemail to email, you’ll never miss a message while you’re away. Getting a business phone number can make all the difference for small business owners. If you a need more professional appearance or could use the assistance of some unique features, this investment can take your business to the next level. Have questions? What to talk to someone about your business phone solution? Contact the Nextiva Amazing Service team today, and they’ll be happy to get to work on your behalf.